earMUSIC and Tarja are very proud to announce the release of her new heavy rock album The Shadow Self. Over the last couple of weeks, the successful Finnish solo artist has been teasing her fans on various occasions, revealing bits and pieces of the new studio album, due out August 5th via earMusic. "I am very excited to finally be able to share the first details of my new heavy rock album with all of you," said Tarja. "The Shadow Self is full of songs that are very dear to me. I cannot wait for you to hear the record that I believe is one of my heaviest albums to date. Keep your eyes open as there will be many surprises along the way to the album release on August 5th. I really mean it. Surprises will follow very soon." With the release of her fourth rock album, the versatile singer is following up on the success of the multi-platinum and gold-awarded previous records: My Winter Storm (2007), What Lies Beneath (2010), and her most recent album, Colours In The Dark (2013), which charted all over the globe, including four Top 10 entries. The Shadow Self is now available for pre-order in various formats, including CD Standard, Special Edition CD+DVD. Tarja will perform songs from her upcoming album for the first time on festival dates this summer. 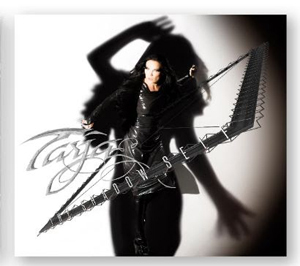 All dates can be found on Tarja's official website HERE.